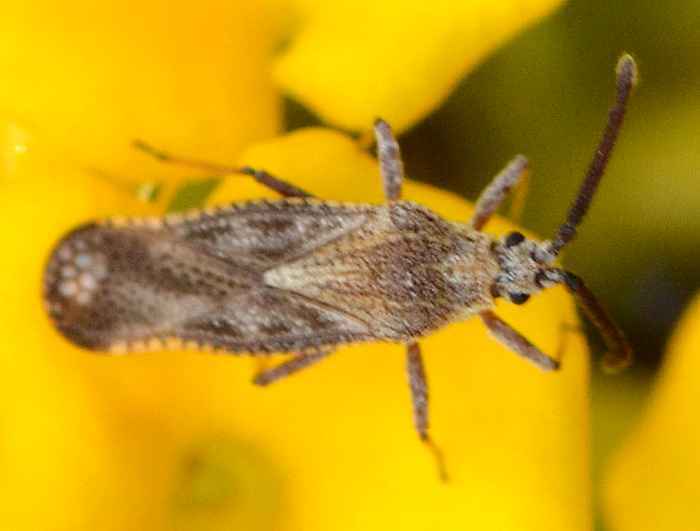 Teleonemia scrupulosa (Lantana Lace Bug). Size: approx. 4 mm. Photo: 09/04/11, noon. I found this lace bug on my lantana plants. It's probably Teleonemia scrupulosa which feeds on the undersides of lantana leaves and some other plants. It can cause severe damage to the leaves and is mainly found in the southern states (FL, GA, TX). Natural enemies include assassin bugs.